Hong Kong Airlines added frequency for its Tianjin route from one to two flights daily, commencing 16 January 2016. To commemorate the additional flight, a launching ceremony and press conference was held at the St. Regis Hotel Tianjin. On the evening of 16 January, Li Dianchun, Hong Kong Airlines Chief Commercial Officer, and Yang Jun, General Manager of Tianjin Station, celebrated the significant moment along with distinguished guests from Tianjin Municipal Transportation Commission, Post Service Office of Tianjin Municipal People’s Government, Tianjin General Station of Exit and Entry Frontier Inspection, Tianjin Binhai International Airport, Station of Exit and Entry Frontier Inspection at Tianjin Binhai International Airport, Tianjin Customs, Tianjin Inspection and Quarantine Bureau etc., as well as the press from Beijing and Tianjin. Hong Kong Airlines deploys the A320 on its Tianjin route. Ever since the launch of Tianjin flight on 31 March 2014, the route recorded favorable performance with the load factor being 91% in 2015. 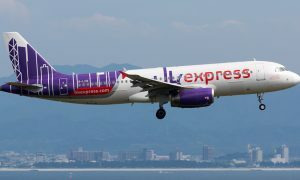 The additional flight is the airline’s strategic move to keep a foothold in Beijing and Tianjin, targeting at further developing the market to an expanded area in northern China. This strategic approach echoes with the development of Pearl River Delta and the plan to strengthen the Yangtze River Delta, enabling passengers from the mainland to transit via the international aviation hub Hong Kong to popular destinations such as Bali, Krabi, Bangkok in Southeast Asia, and more across the globe. Passengers can also enjoy the efficiency and convenience of the one-stop service for checked luggage. 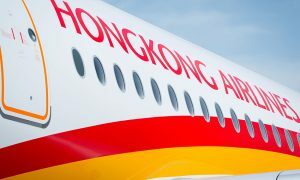 Going forward, Hong Kong Airlines will continue to enhance its mainland network while tapping the potentials in overseas markets, leveraging the blue-ocean strategy to bridge the intact markets with Hong Kong by launching direct flights. 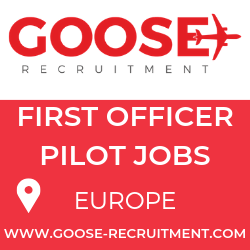 Offering professional flight service, the airline aims at connecting diversified destinations to cater for the increasing domestic demand, in a bid to fulfill its anticipation for an extensive network across continents soon in the future.